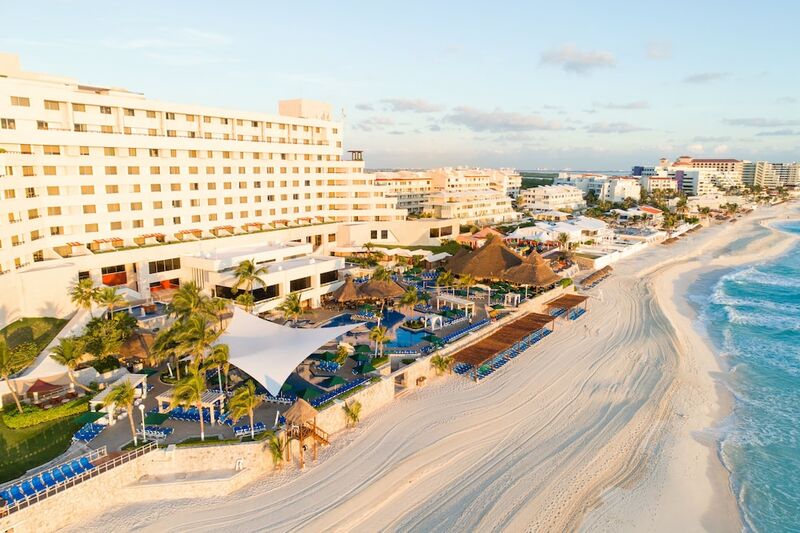 Royal Solaris Cancun Resort Marina & Spa - All Inclusive is a three star establishment located in one of the best areas of Cancun. From the hotel you can reach in a few minutes attractions such as the archaeological site El Rey, ( the King) Delfines ( dolphins) Beach and Water world. Rooms with large spaces and amenities such as air conditioning, TV with access to cable channels, connection to the internet (for an additional fee), desk, telephone and a private bathroom. Every day is the cleaning of the rooms. In the hotel you can enjoy services as relaxing massages and beauty treatments. You can also take a dip in the pool or relax in the Turkish bath. Guests can enjoy all kinds of dining options with all included (additional fees for certain foods and beverages can be applied). Reception open 24 hours. Additional services such as car rental, rental of rooms for social gatherings, parking, tour/ticket assistance are offered and airport shuttle (ask rates).